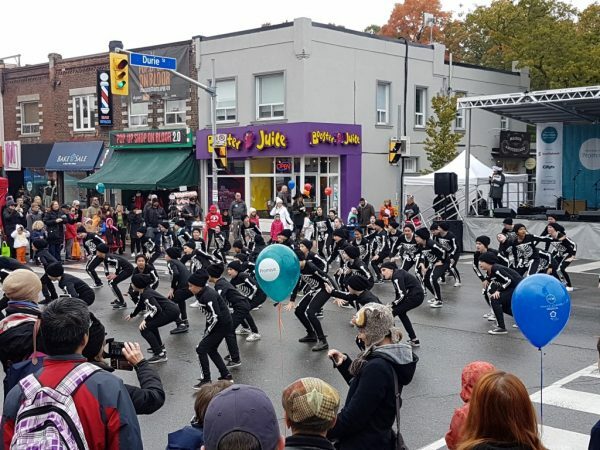 St. Joe’s 7th Annual Toronto West Halloween Fest (TWHF) is a community Halloween event, street festival and costume parade that takes over Bloor West Village the Sunday before Halloween. Fun Fact: Tigris has been supporting the planning of this chilling festival since 2012! Hundreds of families (=thousands of people!) attend St. Joseph’s Toronto West Halloween Fest for a fun afternoon of activities, games, treats and entertainment. Most importantly, this isn’t just a fun, spooky Halloween event. Guests are also supporting St. Joseph’s Health Centre, a community hospital, located in the west end of the city. Proceeds will help revitalize spaces at St. Joe’s, like a renovated Kids’ Emergency Area. Last year, parents brought their kids to St. Joe’s more than 19,000 times! The family-friendly street festival takes over Bloor West between Willard and Runnymede. 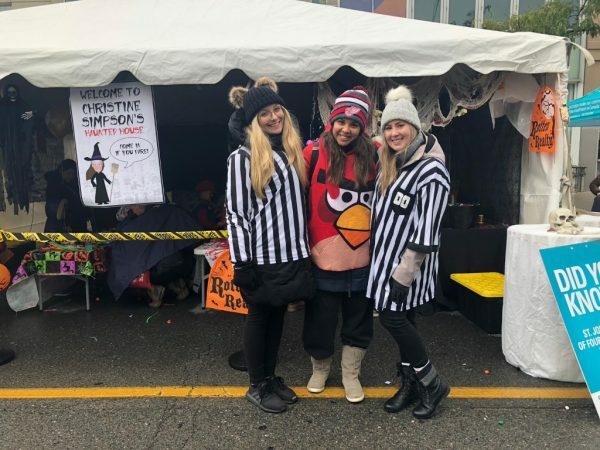 There was great entertainment, including the Scotiabank hockey shoot out, a skeleton flash mob, a haunted house and Halloween treats for kids of all ages. A guest favourite is the Trick or Treat Costume Parade, 1.1km in length that walks through the neighbourhood. Another highlight was Sonshine & Broccoli, with TWO live performances! Everyone was singing and dancing along to this musical duo who’ve been entertaining the little ones for over a decade. Sounds like spooktacular results, wouldn’t you agree? When you run an event as big as this one, you need to be prepared and organized. After running the festival for several years, we know a thing or two about creating a successful event! See below for our top Tigris tips. In addition to your marketing initiatives for your event, you must release a notice to residents and businesses directly impacted by the event. Because TWHF closed down a large portion of Bloor Street, it was our duty to notify and invite businesses to participate in the event. Additionally, it’s a nice gesture to have volunteers go door to door to inform residents. That way, no one is in for a ghastly surprise! When welcoming a community, expect a range of attendees, from less than 1 year to over 80! You’ll want to plan activities for the children, parents and grandparents. This way, you can ensure fun for the entire family. This will increase attendance, donations and overall success of the event. When planning a community event, it’s crucial to have all your bases covered. Our permitting for TWHF includes a Street Event Application, Health and Safety Plan, Emergency Medical, Traffic Plan and Waste Management. Most importantly, a Noise Exemption application was completed, because this ghoulish event can get quite loud! Whether you’re looking to plan a community Halloween event, or a different themed event, let our experienced team handle the event production. Contact Tigris today for a free quote on our promotions, marketing and event staffing services!